Rental properties are a great investment — if you make good choices. Before buying your next property you first need to do your homework to make sure it will be worth your while and provide a good return. As part of the buying process you need to consider: the current New Zealand property market, how you'll finance the purchase and where to buy. You'll also need to work out your investment strategy so you have clear goals. Are you looking to make money within a short time, wait for capital growth, maximise rental returns, or retire early? Knowing what you want to achieve will help you decide which investment strategy is right for you. To give you a starting point, this blog reviews the current market in areas in NZ where you should consider buying a rental property. To find out more about successfully investing in property, download our ebook - How to become a property investor in any market. In Auckland a number of new property hotspots have been revealed, with Glen Innes, Mt Albert and Orewa coming out the big winners. In Glen Innes - formerly a large state-housing area — sale prices have increased from $999,500 to $1.191m since early 2017. In Mt Albert the median sale price rose from $1.025m to $1.22m and in Orewa, from $902,000 to $1m. Other new high growth areas are the suburbs of Pukekohe, Ranui, Mt Roskill, Hobsonville and Takanini. Along with Auckland, Tauranga and Hamilton are within the North Island's 'Golden Triangle'. This fastest-growing area is defined by its potential for development, due to improvements in infrastructure, amenity or liveability. 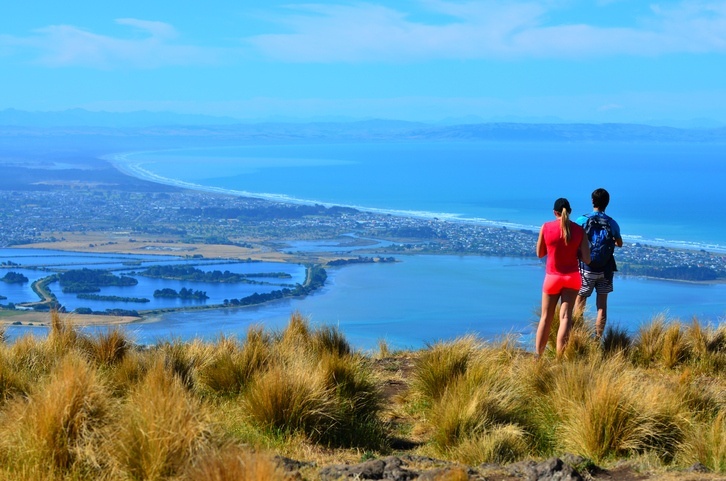 Tauranga is particularly popular with those wanting a break from the busy city because of its good climate, beaches and employment opportunities. The CBD is undergoing a transformation to grow residential, commercial, retail and amenities, which will further increase property prices. A new university campus next to the CBD is also attracting young people to the area. In Hamilton, the development of a new suburb will bring more opportunities for property investors. Less than 10km from the CBD, it will include 2,350 homes and is close to the hospital, university, airport and productive farming areas. An upgrade to State Highway 1, which is due to be completed in 2020, will improve the connection between Hamilton and Auckland making it especially attractive to investors. In Wellington, strong demand and low stock has resulted in a 15% rise in rental asking prices. House prices have also continued to increase in the sought-after region. The Christchurch property market remains one of the healthiest in the country, with housing affordability performing well compared to other major cities. The city also offers a great quality of life, and a high level of disposable income. Properties offer investors a good return on investment – 4.3 percent for residential properties when considering mean residential weekly rent and median real-estate sale prices. This compares to 3.8 percent in Wellington and 3.1 percent in Auckland. Regardless of where your property is in the country, you’ll be able to charge more the closer your rental property is to amenities and the city. Keep in mind the phrase ‘location, location, location' and look for a property that's close to schools, workplaces, shops, public transport, parks and other amenities such as hospitals. This will influence the value of a property and the amount of rent you will be able to charge. Remember, when choosing a rental property it's important to look for one that will give you a good return and meets your priorities, such as capital gain or yield. Where you buy will be a major factor in this. Happy house hunting!